The Texas Medical Center, located in Houston, is hailed as the largest medical center in the world and dubbed as a city within a city. It boasts not only a very huge concentration of healthcare facilities but also a high demand for real estate. 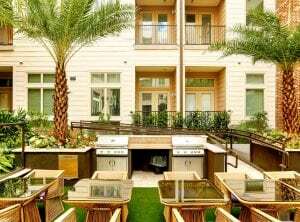 Located in the Medical Center area are the best luxury apartments in Houston. 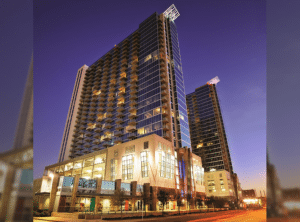 As befits the largest medical facility on the planet, the surrounding neighborhood of Texas Medical Center offers a robust string of fully furnished high-end condos and luxury apartments. The millions of annual visitors have led to numerous city services in the region. 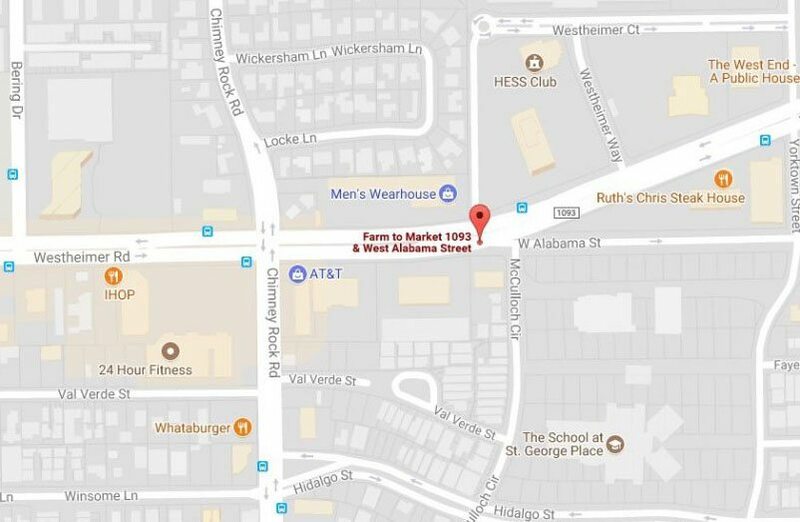 Check out the places to visit all along Main Street and Almeda Rd, as well as a bevy of luxury apartments encircling the Texas Medical Center community. To the very last one, these upscale homes have the finest amenities such as fitness centers, central air, and adequate square footage. The spaces are well-taken advantage of by the designers, allowing for expansive kitchens that transition seamlessly into the living areas. Very close by are several popular venues and recreational parks, such as the 500-acre Hermann Park, which is hailed as Houston’s most visited park. Here, you and your family can indulge in pedal boating and golf, or simply enjoy the tranquility of the Japanese Garden. The well-manicured space is free for everyone and boasts of lovely artificial waterfalls and a teahouse. The McGovern Lake is toward the Sunset Blvd part of Hermann Park, and the Houston Zoo is right next to the Texas Medical Center itself. In addition to being as close as you can get to one of the most respected medical centers in the world, living in The Medical Center community offers benefits similar to the other upscale neighborhoods in Houston. Proximity to the downtown Houston area is a plus. This is one of the many reasons why many young professionals clamor for a luxury apartment unit in the Modera Flats, a condo in Portico Kirby, apartments on Holcombe Blvd. as well as those located on Lyndon St.
As a certified hub of city activity, there are countless things for you and your family to enjoy. The Houston Museum District has arts and crafts for the kids and sightseeing for the adults in the Museum of Fine Arts. To satisfy more of your art fix, the Contemporary Arts Museum has its own place in the district. To reach the pedestrian-friendly district, take the University Blvd. from the Rice University area to Main St. If you are coming from Grand Blvd. or Dixie Dr., then you will be upon Alameda Rd. in no time via N. MacGregor Way or I90. The luxury apartment units inside the square blocks that encompass Medical Center Area in Houston are all within walking distance of the Hermann Park Golf Course and Texas Medical Center. Additionally, the finest luxury apartments that are for rent or sale in the Medical Center are ideal for doctors, nurses, technicians, med students, and patients. Aside from the awe-inspiring parks and astounding museums for arts and crafts, multiple clinical facilities, specialized clinics, and top-ranked medical schools are found in this location. 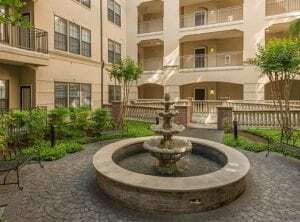 The Medical Center luxury apartments are perfect for anyone who chooses to live in Houston! Central Location – If you have plans of working in the complex, choosing to get an apartment in the Medical Center affords an amazing commute for just about anyone. Neighboring universities and museums, such as the Rice University, West University, and Museum District, are easily accessible from the district. Great Accessibility – Choosing any of the luxury apartments in the Medical Center will allow you to enjoy easy access to the world’s largest medical complex and receive world-class medical services. Additionally, mobility in this neighborhood is never a problem with three Metrorail Red Line Stations crossing the TEXAS Medical Center and three major freeways—Loop 610, South, and Southwest. Highly Rated Schools – Pershing Middle School, Roberts Elementary School, Lamar High School, and Poe Elementary School are among the best public schools in Houston and are situated in the Medical Center neighborhood. Access to Recreational and Entertainment Facilities – Medical Center Luxury Apartments are just minutes away from great entertainment options surrounding the neighborhood. Best Luxury Homes – The real estate of the Medical Center area in Houston has been one of the best-performing neighborhoods in the market today! JUVITAE Luxury Leasing has been working with medical professionals and visiting patients of multiple hospitals and medical facilities in the Medical Center for a long time. If you are new to Houston and have plans of living in the Medical Center neighborhood, then we would gladly share with you our knowledge and expertise in finding the best place for you! For visiting patients of Houston Medical Center, we can help you find the best space that will make your stay worth the while. • James Turrell Skyspace: This fitting addition to Rice University is a unique take on how art inspires perception. As part of a series by the eponymous artist, it uses shapes, space, and light to give the viewer a novel perspective on the sky. • Houston Zoo: For kids and the kids-at-heart, the Houston Zoo has thousands of exotic animals and hundreds of species spread across dozens of acres of land. You will find animals originally from the Serengeti, as well as chimpanzees, giraffes, and even nature’s own tank, a rhino. The Houston Zoo is quite close to several banks of apartment units along S Braeswood Blvd. and MacGregor Dr.
JUVITAE—home of the best luxury apartment locators—is a worldwide luxury real estate firm based in Houston, TX. Founded by Julian Vera, JUVITAE specializes in both short-term and long-term luxury leases. If you are looking for the best Medical Center Luxury Apartment, Julian and his team will seamlessly guide you through your luxury acquisitions. The JUVITAE Luxury Leasing will sincerely attend to your concerns and provide you with details other realtors might not be willing to do such as personal transportation to and from the airport or serve as guides who will assist you in quickly acclimating to your new city. Being able to provide customer service that encompasses a concierge attitude is paramount to Julian and his team. Clients’ reviews about their experience with JUVITAE Luxury Leasing emphasize that their relocations and acquisitions were seamless, enjoyable and satisfactory. In choosing your luxury apartment in the Medical Center area, Julian and his team will apply their expertise in strategic planning, logistics coordination, and negotiation and transaction management. Are you now ready to find the best luxury apartment in the Medical Center? Contact JUVITAE Luxury Leasing today and set an appointment with a seasoned Luxury Real Estate specialist who will give you a sense of confidence greater than that provided by other real estate service providers. With JUVITAE, experience the luxury living that suits your lifestyle! Our services are not only limited to locating properties in the Medical Center, but we also assist clients who wish to make a big move in other areas. With JUVITAE, experience the luxury living that suits your lifestyle!